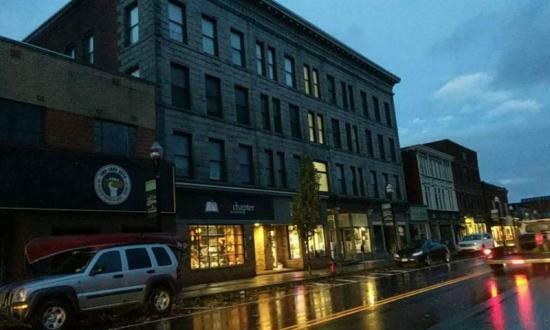 Maria's Bagels is a wholesale bakery and cafe on Main Street in Barre City Vermont and we opened our doors in October of 2015. We are open 362 days a year, snow or shine! We sell our fresh homemade bagels as well as our other home made goods such as Sandwiches, soups, cookies, brownies,flavored cream cheese and more. We use KING ARTHUR FLOUR, CABOT CHEESE, VERMONT MAPLE SYRUP ( BARRE ), GREEN MOUNTAIN FARMS CREAM CHEESE and other local and all natural products as much as possible! The name Maria is very special to me because it is the name of my daughter, whom was named after my great grandmother who Was born in Italy and had a great passion for food. Main Street Bagel Bakery Opens! 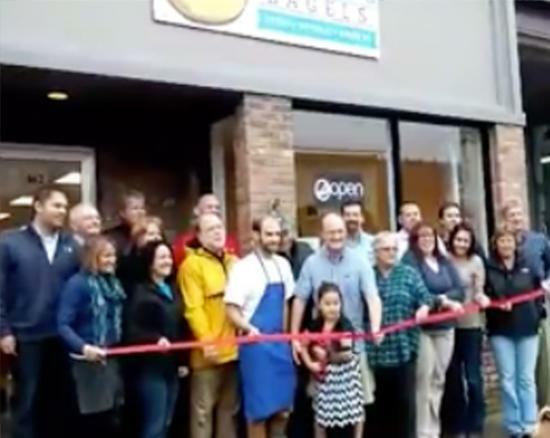 On October 1st 2015 we opened our Bagel Bakery on Main Street in Barre City, it was a dream come true! We sell directly to many customers as well as offer seating so that they can enjoy there food here with us. We sell bagels in bulk, individually and prepared into breakfast sandwiches and lunch sandwiches. We also have TWO of Vermont's greatest coffee companies - Speeder and Earls and The Vermont Coffee Company. At this point we are continuing to learn the restaurant world and keeping things as upbeat as we can. I am very grateful for the support I have had and I thank anyone who has bought or continues to buy my products!